Wenatchee, WA (August 16, 2017) Yakima Speedway has made the decision to cancel The Sun City 125 and local racing for this weekend. Lower than expected car counts played into this decision made by owners, Tom and Ted Pollack. The Northwest Super Late Model Series Inc. (NWSLMS) is certainly disappointed by the news, however we understand what it takes to put on a great show, said Series Director Jarrod Goodwin. A huge shout out to Doug Betterall of Betterall Auto Sales for stepping up to try to make this work for the Series and the drivers, but unfortunately some of the racer’s plans had already been changed. The next scheduled event for the NWSLMS is the Civil War with the SRL at Rocky Mountain Raceways in Salt Lake City, UT. Rules and entry forms are being emailed. 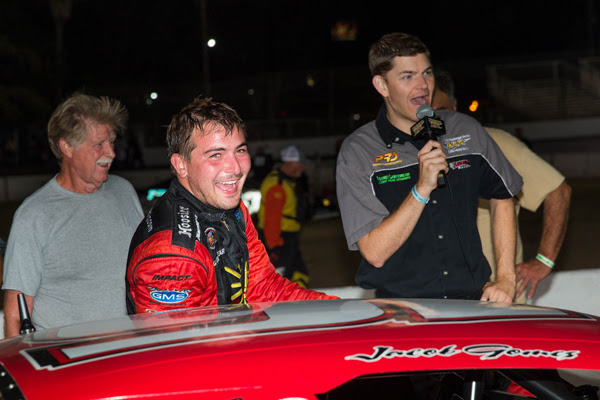 Bakersfield, CA – In three years, the “Winter Showdown” at Kern County Raceway has awarded over $400,000 in prize money to the top Super Late Models drivers in the nation. The 2018 edition of the Winter Showdown will take place on Saturday afternoon, February 3rd, with a record payout of $147,000 with $30,000 going to the winner, and a minimum $3,000 to start. Ukiah, CA...... The North State Modified Series, presented by Protect the Harvest, returns to Ukiah Speedway Saturday night, August 19, for its final 2017 visit to the ¼ mile paved oval located at the Redwood Empire Fairgrounds. Charlie Collins of Upper Lakeport was the big winner last month at Ukiah and will be attempting to do a “repeat” Saturday night. But he will have to battle 2-time NSMS champion Darrin Knight of Kelseyville who finished second to Collins here in July. Knight was victorious in the first two races this year, the first at All American Speedway in Roseville and the second at Lakeport Speedway. To date the series has produced six different winners in seven events. Knight is the current NSMS points leader by a mere 7 points over Collins. With only four points races left, the duo will be chasing every point possible. A driver earns 75 points for a feature win with 70 points awarded to second place. The standings drop by 2 points from there, plus 2 bonus points for fastest qualifier and 2 bonus points for first place in the Lucas Oil Dash for Cash. 2016 Rookie of the Year Darrin Sullivan of Kelseyville sits third in points. Sullivan was the winner of the Memorial Day race at Redwood Acres Raceway in Eureka. Another Kelseyville native, Eric Johnson, holds fourth place, trailing Sullivan by only 7 points. Fifth place in the standings is Sierra Furia of Lakeport. A tie for sixth is shared by Cloverdale's Dustin DeRosier and Redding driver Cody Braund. Eighth place driver Jason Philpot of Sacramento, a 4-time winner in 2016, will be gunning for his first season victory at Ukiah. Sitting ninth in points is Kelseyville's Adrianna Strugnell. And moving up rapidly after missing several early season runs is Eric Price Jr. of Rio Linda in tenth. Price won the Sinister Diesel Summer Sizzler at All American Speedway in late June. The North State Modifieds will join Ukiah Speedway's local divisions to bring an evening of fast-paced entertainment to the race fans. North State Modified Series is presented by: Protect the Harvest, Lucas Oil, Sinister Diesel, Ward Ranches, Penney Racing Supply, American Racer Tires, Naake Suspension, Sunoco Race Fuels, Five Star Bodies, Racer Bling, Keyser Racing Products, Scribner Plastics, DJ Safety, and the Buckhorn Bar & Grill. 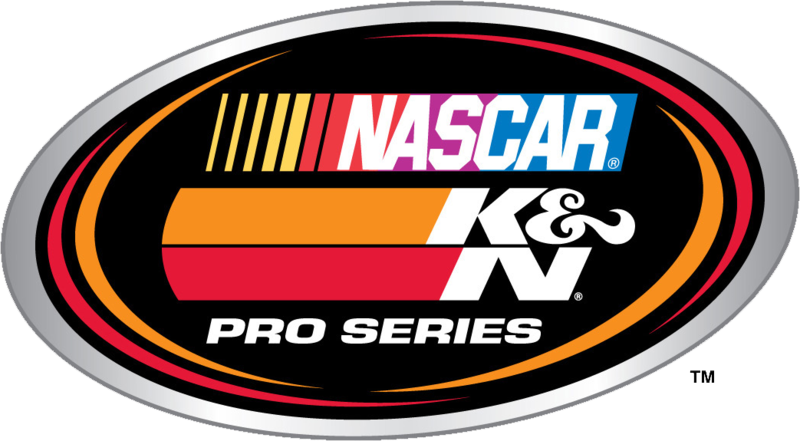 MADERA, CALIFORNIA (August 12, 2017) - Manteca's Jacob Gomes led twice, including the final 22 laps, en route to his second career PCS victory to win the series' 100 lap feature on Saturday night at Madera Speedway. Gomes topped a field of 19 Pacific Challenge Series presented by PenneyLawyers.com Super Late Models in the seventh round of 2017. Gomes' victory makes him the seventh different winner in a series that has had no repeat winners this year. The "fastest one-third mile in the west" lived up to its billing in Sunoco Fuels-sponsored time trials, when five drivers broke the track record set last August by Jason Romero. Despite sizzling temperatures, March PCS Madera winner Carlos Vieira clicked off a 13.999 second lap. The Livingston, CA driver followed that by winning the American Tire Dash that paid a set of tires and the pole for the feature. The initial attempt at a start proved difficult when the outside line stopped coming to the green flag. The ensuing melee saw the outside of rows seven, eight, and nine - Justin Westmoreland, Mike Hite, and Alexander Mead - all suffer significant damage. Both Westmoreland and Hite made attempts to continue on in the race but the trio only completed 38 laps total. Once things got going it was outside pole sitter Gomes taking advantage of the preferred line to take the lead from Vieira. Incoming third in points Cole Moore challenged Vieira inside on several occasions before Vieira drove away with second place. The top three enjoyed a solid lead on the pack while third-generation driver Ross Strmiska led a second pack using primarily the outside line to anchor fourth. Fourth fastest qualifier Jack Wood of Loomis overcame his fourth row starting position as he took over seventh from 2014 champion Mike Beeler of Modesto on lap 21. Lapped traffic entered the fray on lap 27 and Wood worked his way past 2016 Rookie of the Year Matt Wendt of Galt for sixth. Strmiska retired from the race on lap 40 with mechanical gremlins and his departure from the track sparked some wild three wide maneuvering through the infield to avoid. Gomes found the traffic challenging just past halfway when he attempted to get past Eric Nascimento, Jr., 16, who was making his series debut. Vieira climbed up to Gomes on lap 58 and they went three-wide in traffic but Gomes managed to maintain the lead. They went side-by-side again on laps 61 and 62 but Gomes rolled the top to his advantage. Vieira continued the pressure with Cole Moore entering the picture from third in a nose-to-tail affair. Vieira finally cleared Gomes for the lead position on lap 71. The traffic did not relent and Vieira tagged the wall attempting to lap points leader John Moore just a few laps later. On lap 78, Vieira went up in smoke in turn three with his night over with damage from the impact. That lap 78 caution was the first caution since the initial attempt at a start making for a grueling green flag run. Gomes picked the outside of Cole Moore for a restart the saw Gomes, Moore, and Tracy Bolin go three-wide briefly. The caution flew on the next lap when Wood and John Moore spun in turn two. The top-three took off from fourth place Wendt at the next restart and Wendt spent several laps side-by-side with lapped car Michael Sandoval. Behind them, Nascimento was challenged by John Moore until Jack Wood jumped inside for an attempt at going three-wide into turn three. Wood and Moore collided sending Moore for a spin and both cars to the rear. The following restart saw Gomes, Cole Moore, and Bolin again go after it with Bolin and Cole Moore making contact coming out of turn two. Bolin slid down the backstretch sideways at near full throttle before backing hard into the turn three wall. Bolin was able to climb from his car uninjured despite sparking a significant fire. After a lengthy clean up, Cole Moore found himself again in the eye of the storm on the next green flag. Moore and Wendt tangled in a three-wide battle in turn three that sent Wendt into Moore's drivers-side door. Wendt's evening was over on the hook while Moore had to make several stops for repairs before continuing. The final caution of the evening came on lap 96 when Wood and Ukiah's John Dalerio collided battling for a possible top-five finish. Both had to restart at the rear yet again. Gomes lined up outside Eagle, ID's Travis Milburn for a four lap shootout to the finish and quickly took off in his red #16. Both John Moore - who had been spun around just eight laps earlier - and Beeler managed to pass Milburn in the closing stages. At the checkered flag it was Jacob Gomes with his second career PCS victory ahead of John Moore, Mike Beeler, Travis Milburn, and Eric Nascimento, Jr. Austin Gant scored his second consecutive sixth place finish while Austin Herzog, 15, overcame several mechanical issues to finish seventh in his series debut to go with Nascimento's top-five in his series debut. The Pacific Challenge Series presented by PenneyLawyers.com continues September 2nd with round #8 as part of the third Tri-Holiday Classic at Stockton 99 Speedway. John Moore will bring a 12 point advantage on Mike Beeler into the event.